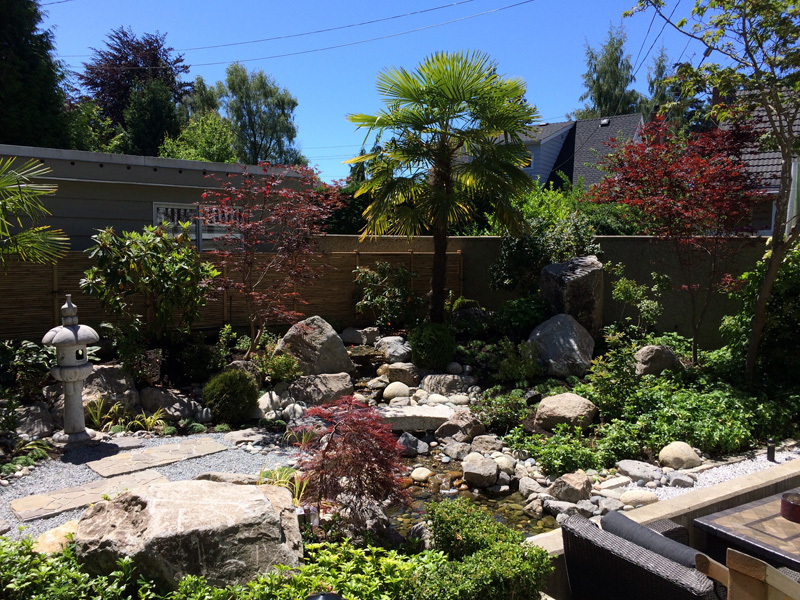 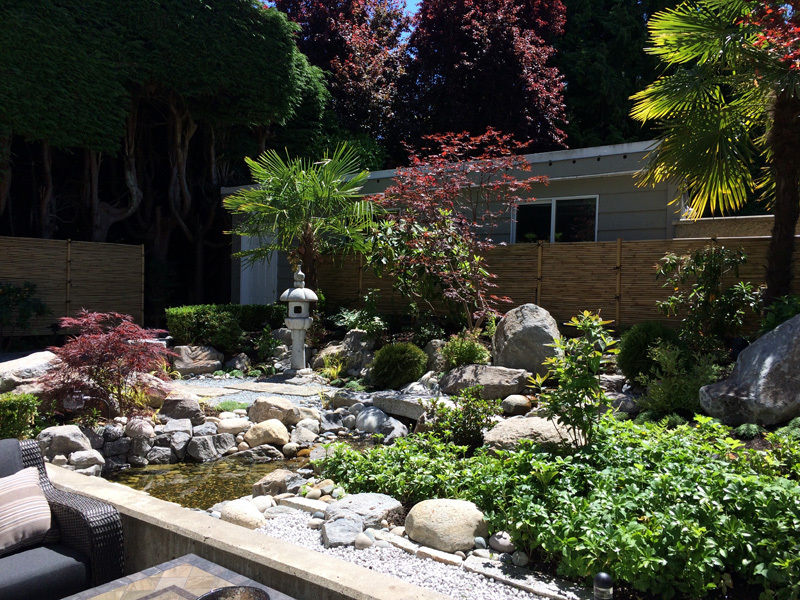 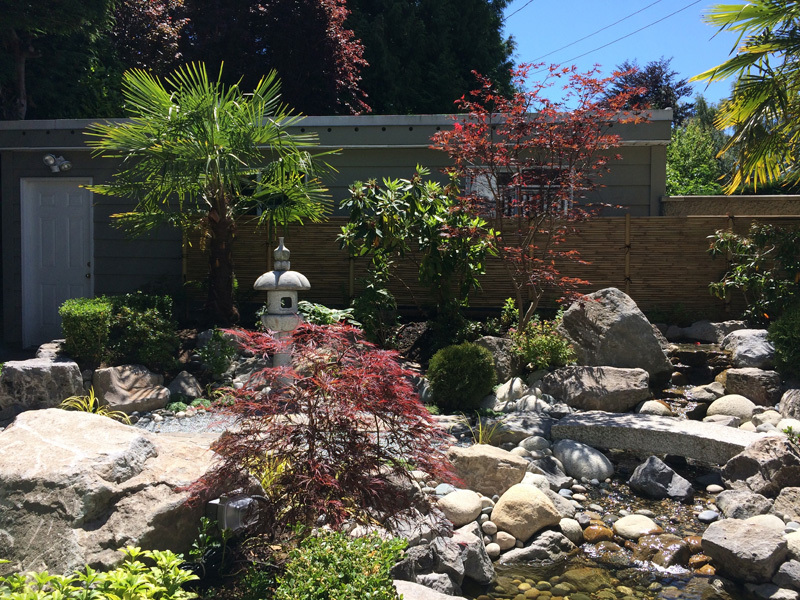 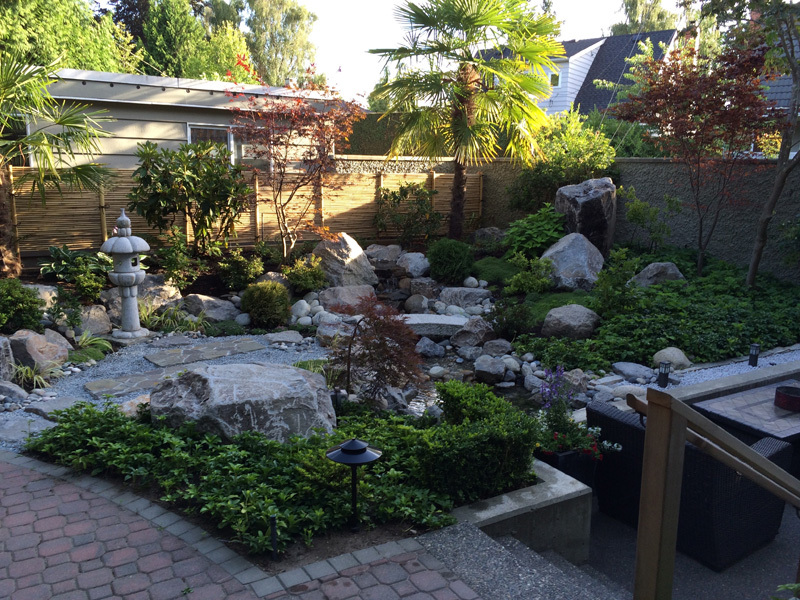 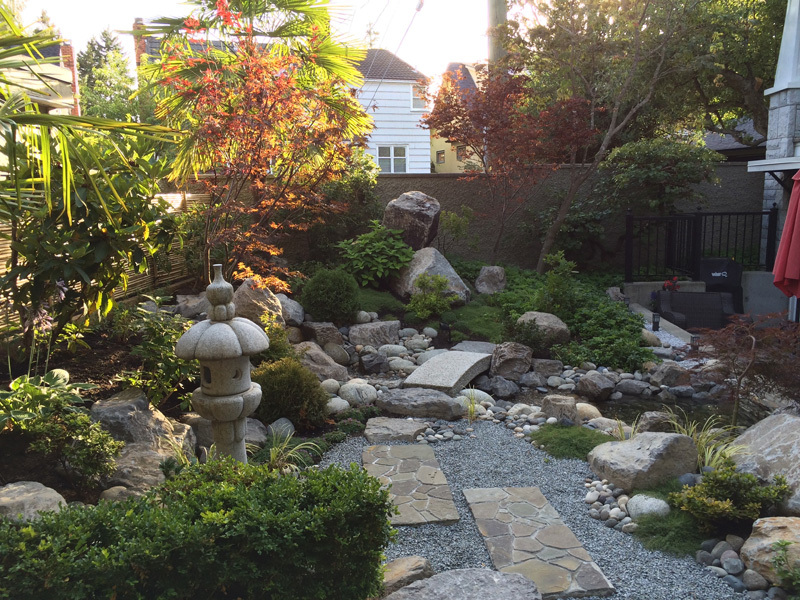 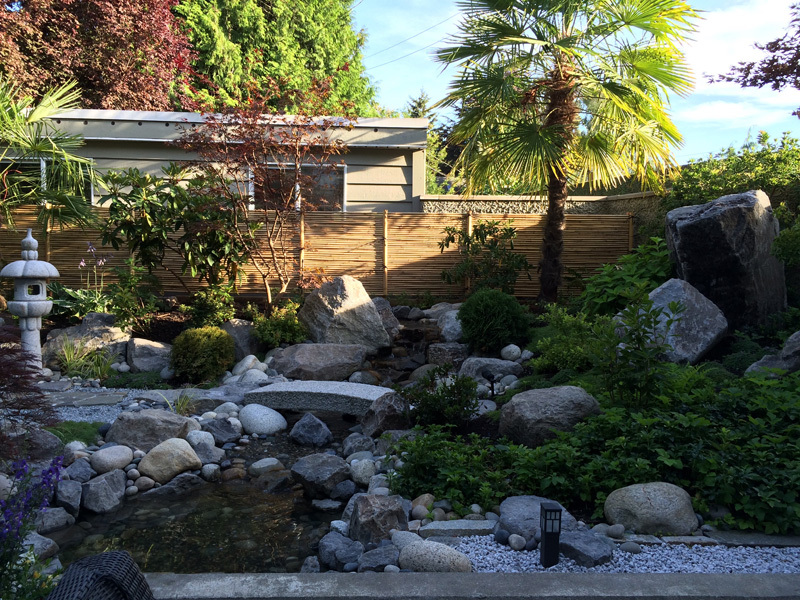 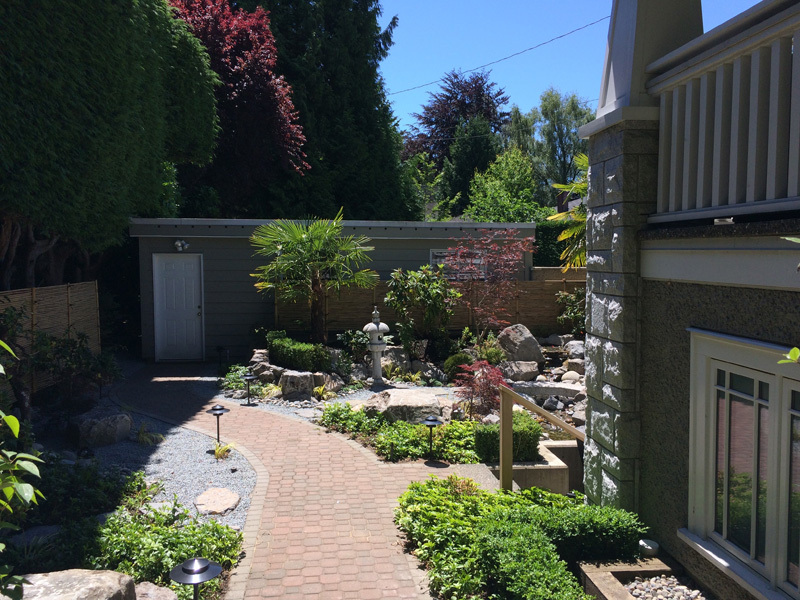 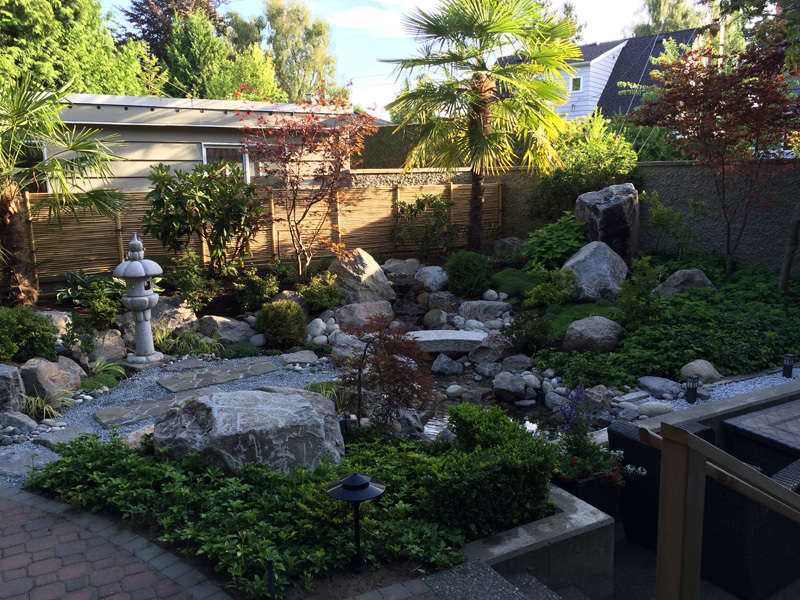 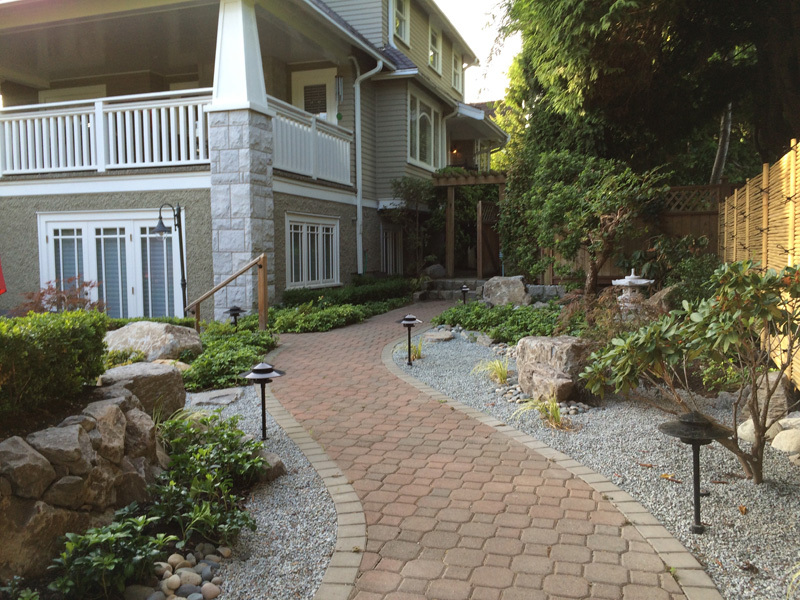 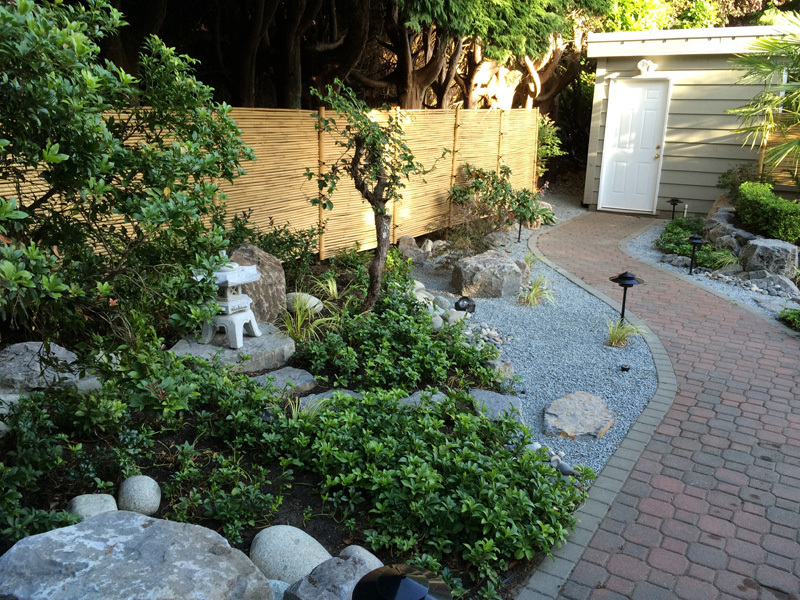 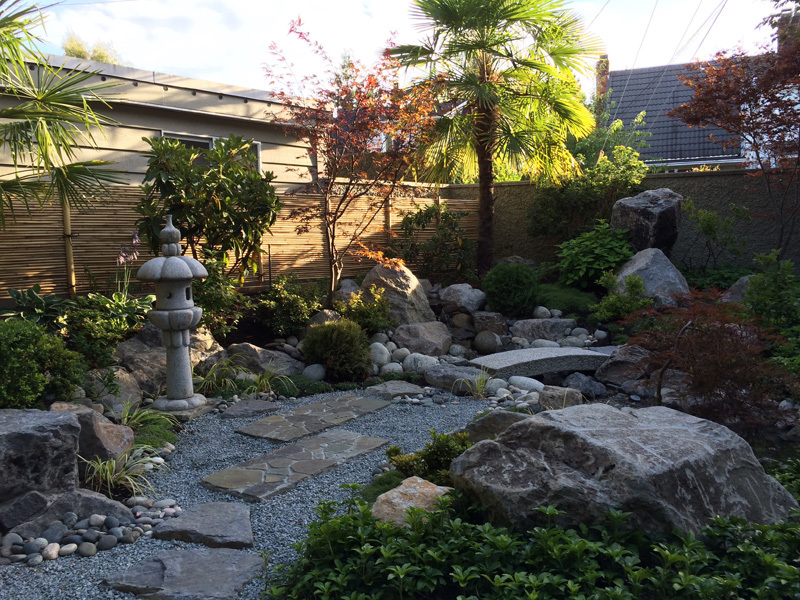 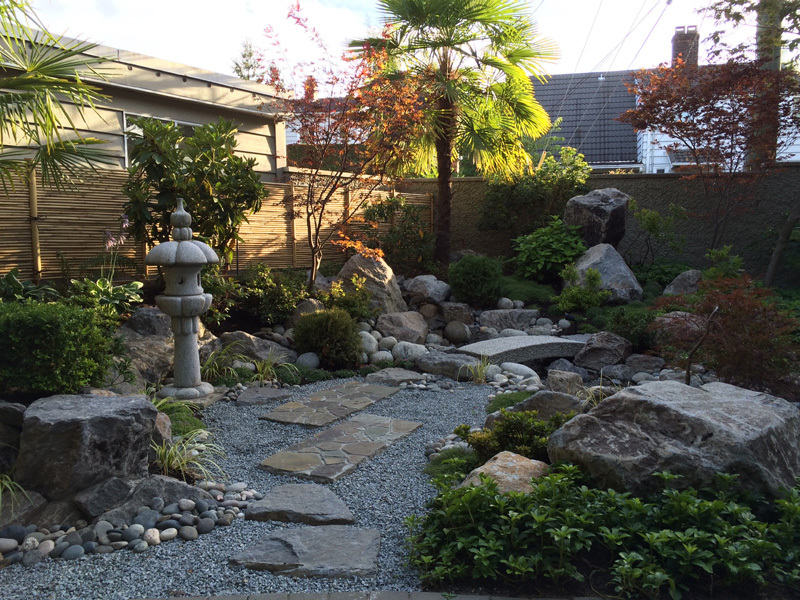 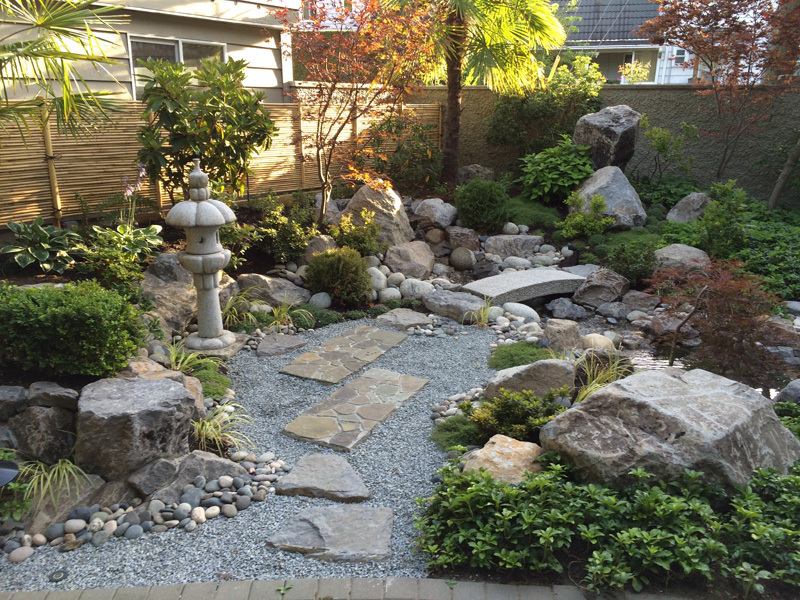 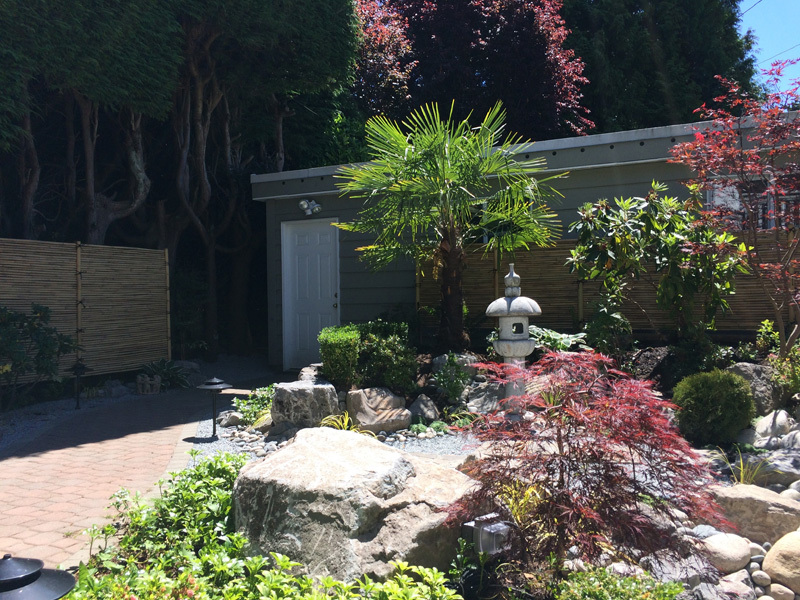 South Granville – Vancouver | Earth Sculptors Inc. 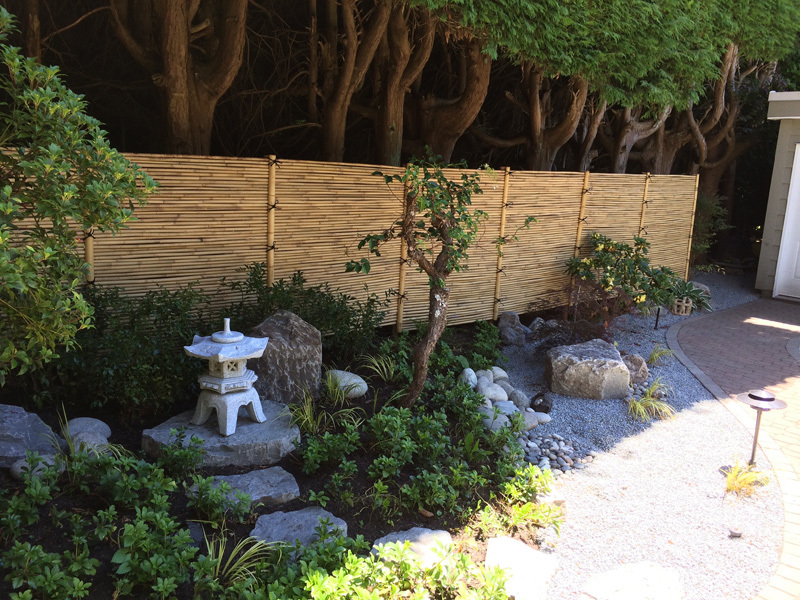 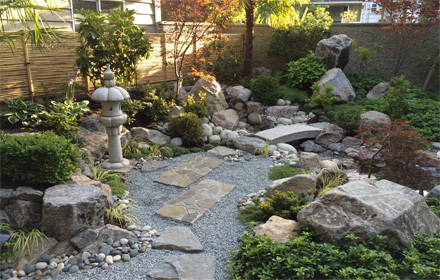 This traditional-style Japanese garden features a design that makes the most of the view from a patio one level below, as well as from a veranda on the second floor. 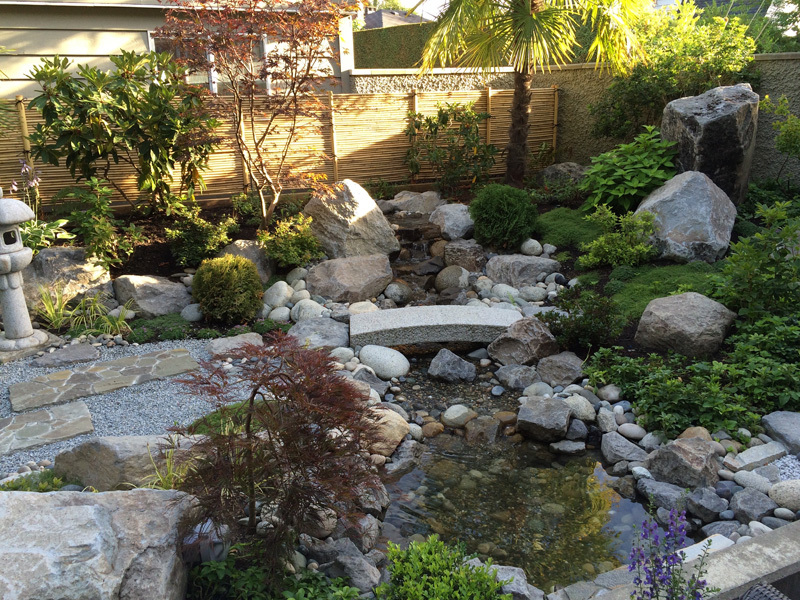 With the centre of focus on a small stream, this unique fusion of stone and greenery contains a stone lantern, bamboo fence, and other classic elements.